Check the table below to find out when WCCLS member libraries will be closing over the holidays. We wish you a safe and happy holiday season! Remember that you can download ebooks and audiobooks any time at Library2Go. 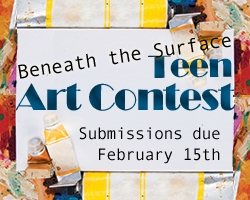 Are you a local teen artist? Submit a design to our Teen Summer Reading Artwork Contest. 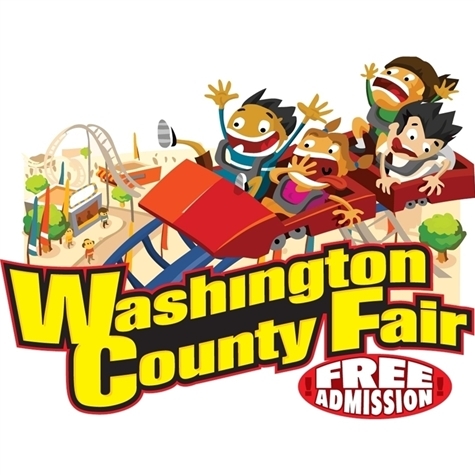 The winning design will be used on all 2013 Teen Summer Reading program materials across Washington Co., including posters, bookmarks, flyers and more. The winner also receives a $150 gift certificate from Powell's Books. The second place winner receives a $50 gift certificate for Blick Art Materials, and the winner of honorable mention will get a $25 Blick gift certificate. World Book Online For Kids was developed especially for our young readers. It offers easy-to-read articles and a wealth of engaging activities, multimedia, games, and science projects, all with the authority you’ve come to expect from our trusted partner, World Book. Check out World Book Online for Kids with your WCCLS library card handy. The Cedar Mill Library, a WCCLS member library, was recently honored by the Oregonian as one of the Top Workplaces in Oregon. The library ranked number 4 out of 40 small businesses recognized. The library was also given a separate award for being the top ranked organization for "Appreciation" meaning employees feel genuinely appreciated. Hillsboro Public Library-Shute Park Branch, 775 SE 10th Avenue, is offering citizenship classes for 8 weeks to anyone with a green card and a basic level of English. The course includes U.S. history, government structure, civil rights and basic civic concepts. The classes will take place on Mondays, starting October 1st from 6 to 7:30 p.m. For more information, please contact Mission: Citizen, 503-928-2310 or missioncitizen@gmail.com. Registration is not required but class size is limited to 20. Para más información vea el calendario de eventos y WCCLS en Facebook en Español. The wccls.org website will be unavailable from 9 pm to approximately 11 pm on Tuesday, September 18th, for routine maintenance. Hillsboro Public Library is pleased to offer an Oregon Humanities-sponsored program as part of their Conversation Project series. In this time of cataclysmic change in our country and our world, it is important to ask not just how to get the economy back on track, but what kind of economy we want. In 1983, Benedict Anderson wrote Imagined Communities, a book about the origins of the modern nation-state and the powerful identification with nations for which millions have fought and been willing to die. 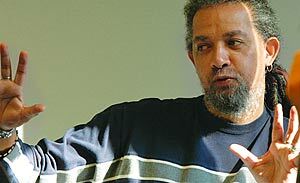 This is the focus of "Borderless: Migration, Globalization, and Changing Communities," a free conversation with Lewis & Clark College associate professor Elliott Young on Thursday, September 27, at 6:30 p.m. at Hillsboro Main Library. 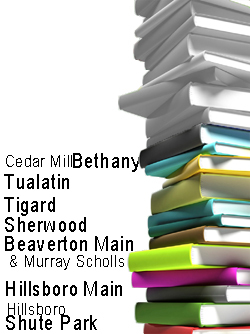 This program is hosted by Hillsboro Public Library and sponsored by Oregon Humanities. Do you use Library2Go ebooks in the EPUB or PDF formats? The message below is for you. From 10:30 pm on Monday, August 27th to approximately 4:30 am the next morning, Adobe is taking their Activation Service offline for maintenance. This means you will be unable to authorize a device with a new Adobe ID during this time. Who does this affect? The only people affected by this downtime will be people activating their device with an Adobe ID for the first time. That means, if you are creating a new Adobe account and want to authorize your device with it during the maintenance window, you will be unable to do so. This includes authorizing ereaders like the NOOK, or authorizing the OverDrive Media Console app on your smartphone or tablet. Who will not be affected? Anyone just downloading or reading ebooks should not be affected by this downtime. Also, if you have previously activated a device with an Adobe ID, you should still be able to activate additional devices during this time. If you read Kindle ebooks, this downtime does not affect you at all. If you have more questions about Library2Go, please contact your local WCCLS library. 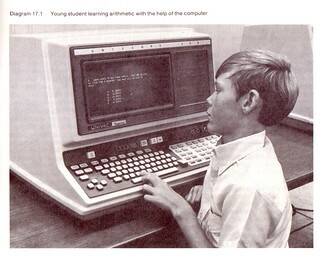 The wccls.org website will be unavailable from 9 pm to approximately 10 pm on Tuesday, August 21st, for routine updates. The Library2Go help pages on the WCCLS website are some of our most-visited. This is a testament to the popularity of the Library2Go download service. It's also a result of the fact that downloading isn't always completely intuitive for some of our users new to the process, and especially to those people new to mobile devices and e-readers in general. On Tuesday, July 31st at 7:00 pm, Pamela Phillips will talk about scarf tying as well as about ovarian cancer awareness at the Garden Home Community Library. A retired flight attendant, Pamela was diagnosed in 2009 with Primary Peritoneal Carcinoma, a rare type of aggressive ovarian cancer. After a year of chemotherapy and 16 months of wearing headscarves, she learned many ways to cover her head. 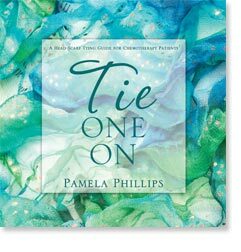 Pamela wrote Tie One On, an instructional and inspirational book, after getting questions on how to tie her turban scarf from women in her support group. Well it's summer, and it's the season of getaways, whether local or further afield. Out of curiosity, I did a search in the WCCLS catalog to see which of the travel guidebooks were most popular this summer. It turns out that WCCLS patrons are an active bunch, and that you're getting out there making the most of what Oregon has to offer this summer. On Tuesday, July 24th at 6:00 pm, videographer and historian Darrell Jabin visits the Garden Home Community Library to share his short documentary called Oregon Carousels: Creating New Traditions. 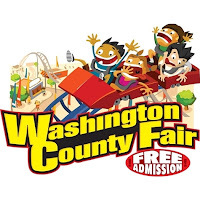 The Washington County Fair starts next week! It opens on Thursday, July 26 and the last day is Sunday the 29th. This year, young readers have the chance to earn free ride passes at the fair. They just need to read two books, fill in the report form, and get 2 carnival ride passes. The WCCLS catalog and online accounts will be unavailable from 9:00 pm on Monday, July 16 until 7:00 am on Tuesday, July 17th. This is due to database maintenance. We thank you in advance for your patience. If you have questions about your account, please contact your local WCCLS library. 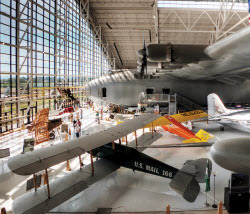 We're pleased to share that we've added the Evergreen Aviation and Space Museum to our roster of Cultural Passes available for check out at your local WCCLS member library. The Forest Grove City Library will open at 1:00 pm on Thursday, May 31st, due to a staff in-service. 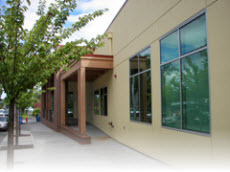 Find the hours and contact information for the Forest Grove Library here. Our team of taggers is still hard at work, making their way through all WCCLS member libraries, adding RFID tags to library materials. Last week they tagged the one millionth item! As you can see by our pile of books to the right, we're making our way up the stack. 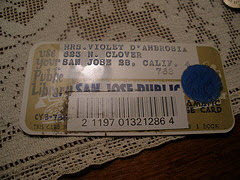 To see the numbers of items that have been tagged so far at each library, visit our RFID info page. Since we upgraded our catalog and online accounts earlier in the week, you may still be getting messages that the catalog and accounts are down when you try to visit. This is because the cache in your browser needs to be cleared. 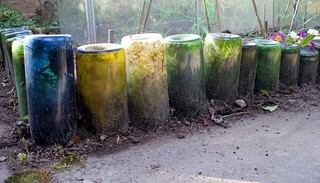 Once that happens, you should be able to access the catalog and online accounts without trouble. Below are directions for clearing the cache for Internet Explorer, Firefox, and Chrome. The OCAC (Oregon College of Art and Craft) Library begins its summer hours on Tuesday, May 15th. The library will be open Tuesday through Thursday, 12 pm to 3 pm. This will be in effect until the fall. If you request materials that are held at OCAC, they may take longer to get to your pickup library, due to this change in hours. The Banks Public Library is closed for renovation. They will open in 3 to 4 weeks, and we will let you know when there is a firm date that the library will re-open. 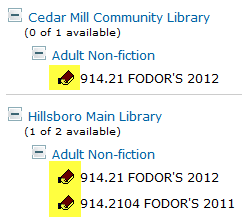 The WCCLS catalog and online accounts are now available. We were able to get services up and running ahead of schedule and we thank you for your patience while our systems were down for an upgrade. The Hearing Voices storytelling extravaganza begins in two weeks, on April 7th. We have a great festival planned and hope you can join us for the fun. Earlier in the week we reported that NoveList and Auto Repair Reference Center were down. They are now both up and running this morning. Thank you for your patience! At the moment, NoveList and Auto Repair Reference Center are unavailable, due to technical issues with the provider of those resources. At this time we do not know when access will be restored. Thank you for your patience! OverDrive (the vendor that powers the Library2Go service) will be doing technical maintenance at 4:00 AM on Monday, March 26th. They've told us there might be a brief interruption to service, resulting in people not able to download titles. Washington County's online list of severe weather shelters and warming centers has been updated for March 22-27. For the latest information on shelter openings in the metro area, including Washington County, dial 211 or 503-222-5555 to access the 211info Information and Referral System. 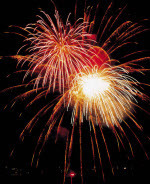 Shelter information is also available online at http://www.co.washington.or.us/Housing/News/severe-weather-shelters.cfm. Engage yourself in thoughtful conversation about the future of reading & the impact of e-books. Join author Mark Cunningham in the Oregon Humanities Conversation project, From Print to Pixels: The Act of Reading in the Digital Age. The OCAC Library will have reduced hours for Spring Break - Monday, 3/26 through Sunday, 4/1. The library will be open Tuesday - Thursday, 12 pm to 3 pm that week. Usual hours will resume Monday, April 2nd. Well the taggers just keep rolling. As of this morning, they've tagged a whopping 586,100 items in four buildings - Hillsboro Main, Hillsboro Shute Park, and Beaverton Main and Murray Scholls. In a few days the taggers will be moving from Murray Scholls on to Sherwood. 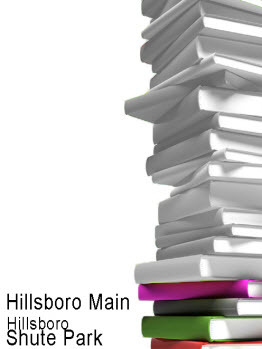 The Hillsboro Library offers an opportunity for adults to practice the craft of writing and meet new people. Local writer, library volunteer, and Parallel Play Writers' Group member, Rebecca Colucci, leads this drop-in opportunity for writers at the Hillsboro Main Library. The intent is to provide a time and place for writers to gather together and practice their craft alongside one another. We are pleased to announce the winner of WCCLS' 2012 Teen Summer Reading Art Contest. Are you considering buying an iPad? Want to know how they compare to other options? The Tualatin Public Library hosts Joe Hallett, a freelance technology writer, who will provide an introduction to the iPad's many functions. Explore the heritage of Washington County, Oregon through digitized photos. Washington County Heritage Online is a cooperative project of local libraries, museums, and cultural institutions in Washington County to create a digital repository of photographs chronicling the county's rich history. Staff at the Cedar Mill Community Library have unearthed some treasures from WCCLS' past and shared them online for everyone to enjoy. We love this image of the WCCLS Book Van from 1975, and there's a great article about WCCLS early dates from the Valley Times of 1976. 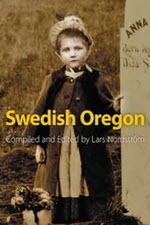 You'll find the full images below, and at Cedar Mill's Library History Project on Flickr. If you are a Cedar Mill patron, you'll enjoy seeing the pictures of volunteers getting the building ready for the library.